Miguel Roldán, will present ‘YAS’: Young Architects of Spain exhibit’s opening lecture at the Texas A&M University’s Wright Gallery Nov.6 at 5:30 p.m.
‘YAS’: Young Architects of Spain is a major exhibit showcasing the extraordinary work by emerging architects from Spain, where architecture became a global point of reference by the end of the 20th century. 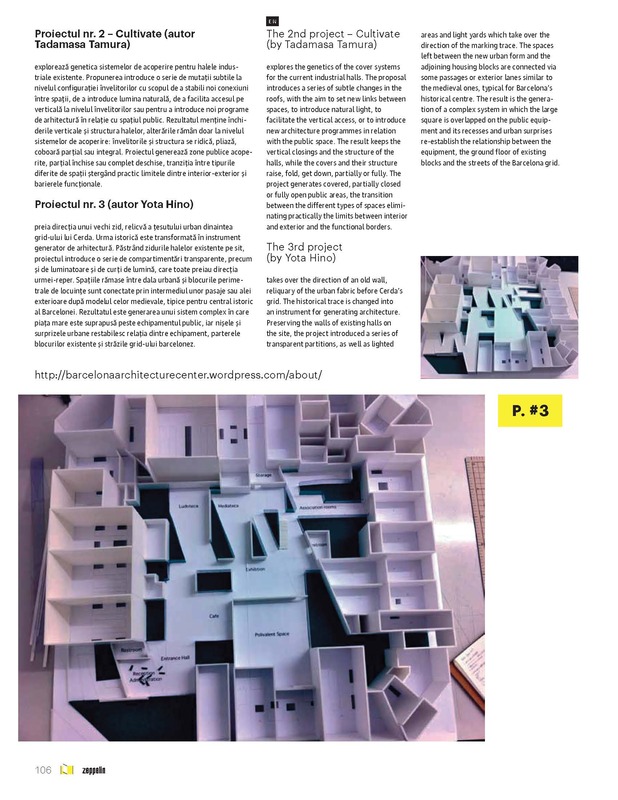 The exhibition touring the U.S. since 2011 through Chicago, Washington, D.C., Dallas, Houston, etc. 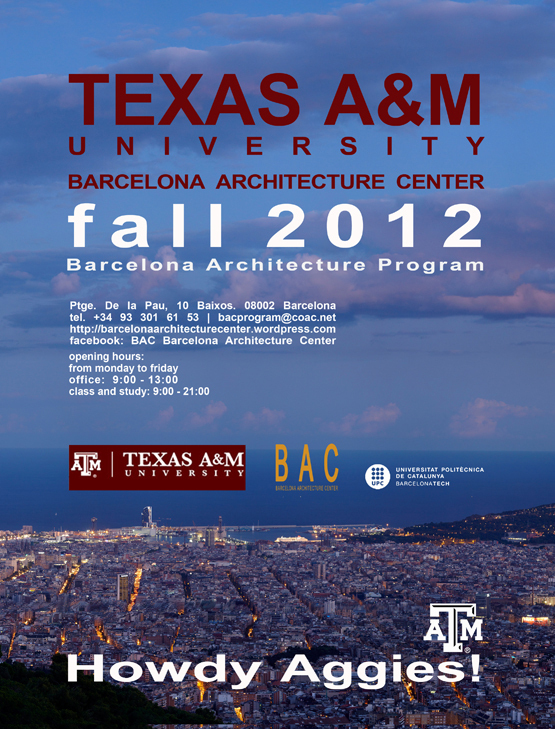 selects College Station and Texas A&M University as one of the last 3 stops besides New York and New Orleans.“The ‘Young Architects of Spain’ exhibit shows that architectural excellence is being produced by a new generation of professionals, not just by internationally renowned Spanish maestros, which ensures a promising future for Spanish architecture,” said Elton Abbott, Assistant Dean for International Programs and Initiatives and Faculty leader for Barcelona Study abroad program who is coordinating the exhibit at Texas A&M. 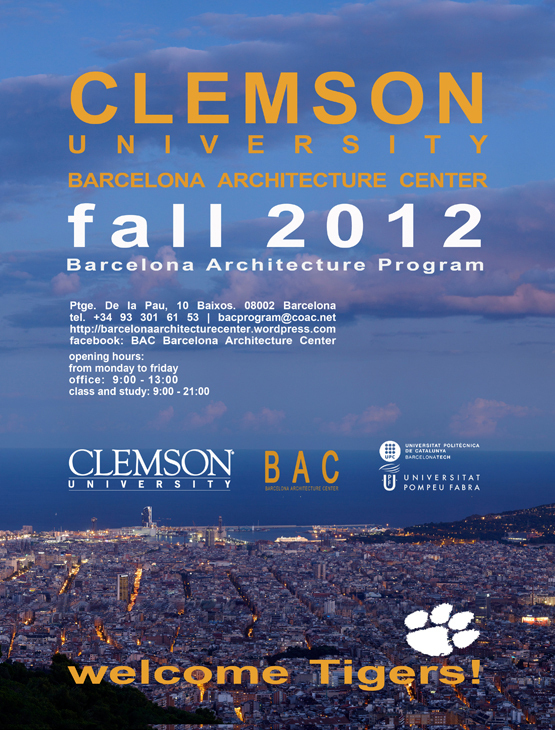 …see you all soon in Barcelona! La Festa Major de Gràcia, is the biggest of Barcelona’s neighborhood street festivals which takes place on streets and plazas in the Gracia area of Barcelona every year from 15th to 21st August. This popular festival is organized by the neighbors and families in Gracia and features big and varied programme of more than 500 activities, outdoor free concerts. Streets and plazas are decorated by the residents that compete for the prize of being the best decorated street or square of the Gracia festival and during this 5 days of the festival you can experience many other wonderful Catalan traditions such as Castellers (human towers), Correfoc (fire run), traditional folk dance Sardanas and many other..
Do not miss the Biggest parade of the Gracia Festival on Wednesday 16th with all groups of the Festa Major including the gegants (giants of Gracia including “la Gresca i el Torradet”) caps grossos (big heads) dracs (dragons), castellers (human castle builders) and , bastoners (stick dancers) grallers – (pipers) and more. For detailed agenda of all events and activities visit oficial festival page day by day agenda or download oficial programme pdf. 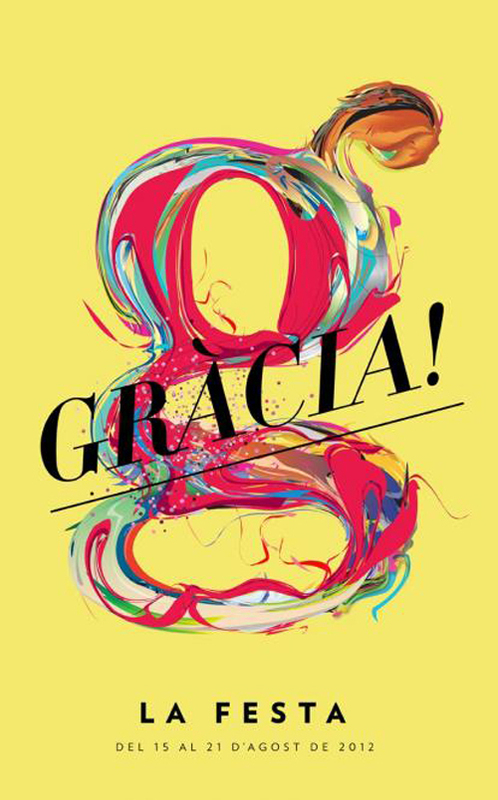 Each year there is a public contest to design a new festive Gracia festival poster which is used as the festival logo and T-shirt.This year the winner was Marc Sala Castillo and also check out all the past years posters here. 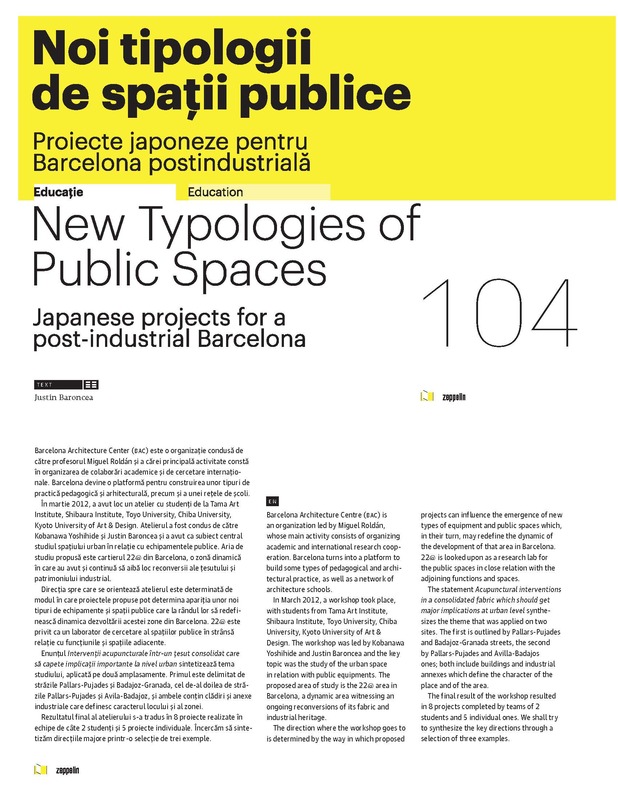 “New Typologies of Public Space_Japanese Projects for a post-industrial Barcelona” is the title of the article published in the latest issue, nº106, of the well known Romanian architecture magazine Zeppelin. 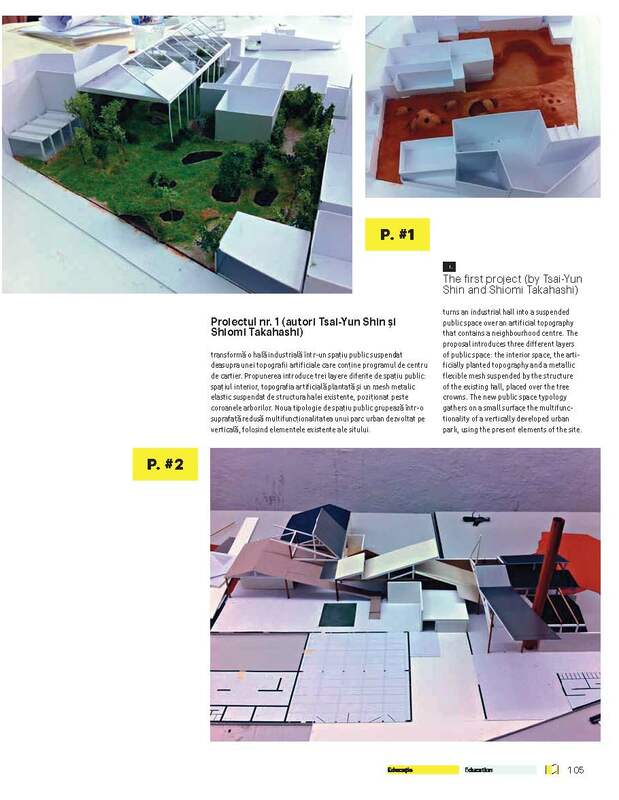 One of the BAC JAPAN Design Studio professors Justin Baroncea, writes for Zeppelin about Japanese students very successful projects realized during their Spring 2012 term at the Barcelona Architecture Center BAC. 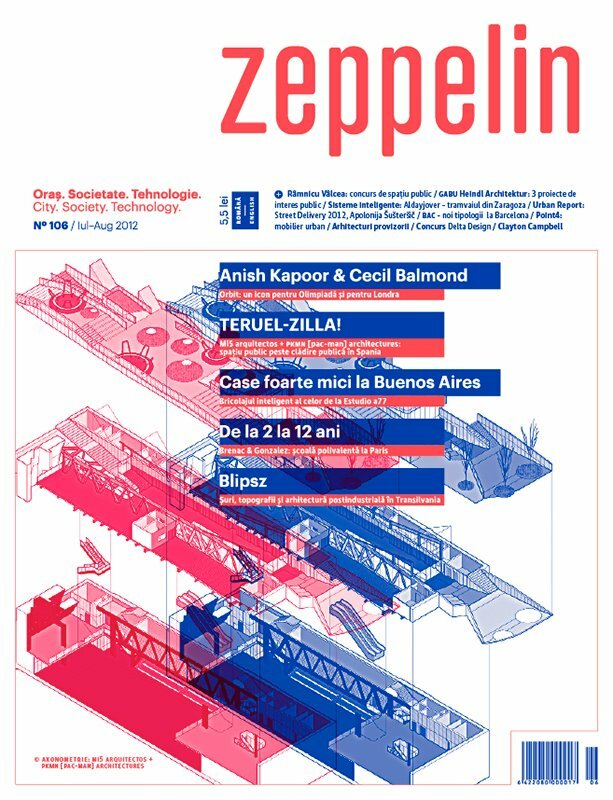 here you can see the complete article with the front page of this Zeppelin issue..
and thank you again to our design studio professors Miguel Roldan, Yoshihide Kobanawa, Justin Baroncea, Toni Montes and Jordi Mansilla, Jean Craiu for great photos and all his help and of course to all our students for this successful spring 2012 term at BAC.